Artist applications for Mountaingrass 2019 open March 1 and close April 30th. Mountaingrass only selects acts that play bluegrass and American old-time music. “Mountaingrass” is the official festival of the Australasian Bluegrass and Old Time Music Association of Australia (ABOTMA). The festival aims to present performances of bluegrass and traditional old-time music, related workshops, and opportunities for attendees to share with each other through jamming and picking sessions. In 2019, Mountaingrass will be held for the second time at the George Kerferd Hotel in the Mayday Hills precinct, Beechworth, Victoria, from 8-10 November, 2019. Beechworth is an easy 3 hour drive from Melbourne, a 6 hour drive from Sydney, a 9.5 hours drive from Adelaide, and a four hour drive from Canberra. It is still a very long way from Brisbane and Perth but we welcome applications from all states of Australia and can arrange pickups from Albury Airport, which is 40 minutes away by road. There is public transport (bus) from Albury and Wangaratta to Beechworth that connects with rail services going to Albury and Wangaratta. There is an airport at Albury, NSW, 40 minutes away by road. Hire cars can be rented at the airport. 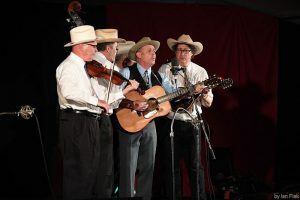 Mountaingrass is organised by the Australasian Bluegrass and Old Time Music Association (ABOTMA), a not for profit organisation dedicated to the promotion of bluegrass and American old-time music in Australia. The event is entirely run and resourced by volunteers, some of whom are local residents. Mountaingrass is a participative event for performers and ticket buyers alike. We are looking for musicians who want to be a part of the event and be involved not only in concerts but also in workshops and jams and picking sessions. Performers will usually have at least two performances in different venues during the event. Concerts occur in the evenings and afternoons. Workshops are held on Saturday and Sunday mornings. As Bluegrass and Old Time music are acoustic music forms, the festival encourages acoustic performances. Plugged-in or other non-acoustic instruments are discouraged. 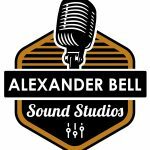 Professional sound engineers are available to provide microphone amplification. Partners and children of performers selected to perform at the festival can obtain half price tickets provided names and numbers are included in the application form. Partners are also most welcome to volunteer their services and receive a free ticket for the festival in return. In support of the bluegrass and old time cause, performers are encouraged to become part of ABOTMA through membership of the organisation. Application to join is available through ABOTMA or on site at the festival. Performers are asked to organise their own accommodation. However, in some cases accommodation may be considered as part of a performance fee and booked by the organisers. If this is the case, please indicate your requirements in your application. Accommodation is available on site at Mayday Hills and in the heart of Beechworth. For accommodation options click here. a) Type of Material Performed: In accordance with the charter of ABOTMA is to encourage bluegrass and old-time music performance, we will only select acts playing bluegrass and American old-time music. b) Type of Performances: In most cases, artists will be given at least two concert spots. Performers who can also provide a workshop or lead a slow jam related to bluegrass or old-time music will be given preference, as will artists prepared to stay for the entire festival including Sunday evening. Being a participative event, it is considered important that all performing artists join in on sessions over the weekend. c) Performing Experience and Profile: To be considered for a performance at the festival, artists must present a polished act and have previous experience performing as that act. Artists should also have promotional material such as CDs, merchandise, a website, photos and a bio that we can use in the promotion of Mountaingrass. When applying via the Application Form, performers are expected to submit a biography, and examples of their music via CDs, MP3s or links to sound files on their website. As a general rule, “put together” bands, i.e. those formed expressly for the purpose of applying for Mountaingrass will not be considered for the main stages. However, the festival also has opportunities for blackboard performances at our walk-up stage in the gardens of Mayday Hills. d) Fees or contribution: The festival committee aims to provide a token fee to each artist or group including an element of reimbursement for travel and accommodation. The fee is primarily intended to be a contribution toward covering costs associated with attending the festival. When proposing a fee or contribution please indicate on your application the cost of your travel and whether your fee is negotiable. All performance fees submitted are to include GST if applicable and should indicate which components are travel expenses and accommodation. e) Applications: Final selections will be made in April and soon after, letters of notification will be sent to all applicants. Artists who intend to request a performance fee must provide us with a copy of their own public liability insurance and their invoice before the festival. Invoices will not be paid until we have the set lists for your performances (for APRA). Performers who do not have their own public liability insurance can play as a volunteer for a ‘contribution’ paid to them after the event. As a volunteer they will be covered under the ABOTMA’s Public Liability Insurance policy. Where possible, acts are asked to donate at least one CD or item of merchandise to the festival raffle. In return, Mountaingrass will sell performer CDs throughout the event at no extra charge and also provide a signing table. Artists and bands must identify all members of their act on the application and indicate if particular members appear in other acts that are applying. This is to assist in programming. Artists are responsible for all their meals and drinks. Unfortunately, the festival does not provide riders for artists.